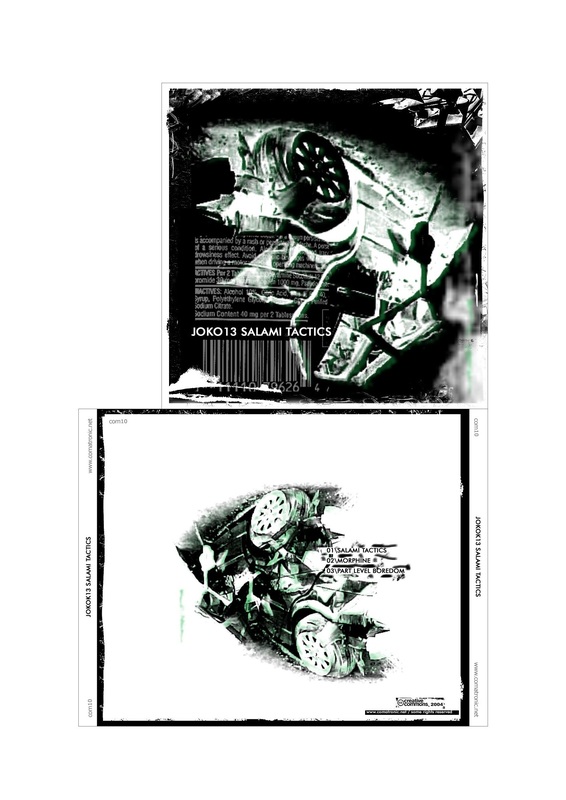 Joko13’s latest release takes you on a musical journey from 2004 back to 2001. 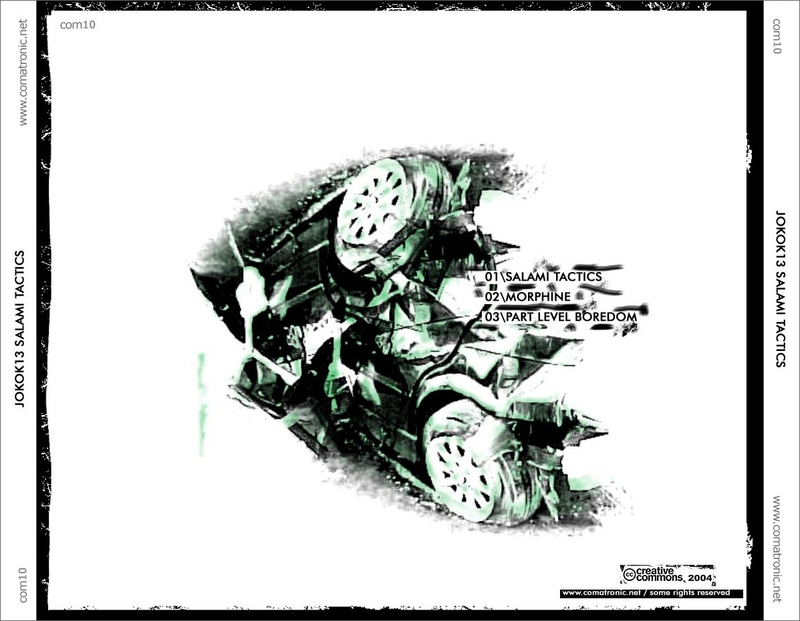 Starting off with the brand new mech-warrior anthem ‘Salami Tactics’, the Austrian artist once again defines his trademark sound of dark stomping minimal where the specific sound aesthetic is based on the use of digital artifacts and tight repetitive beat structures supply the necessary framework. ‘Morphine’, a track created in 2002, refers to the same principle and the outcome is a uplifting tech-house tune with a casual swing. 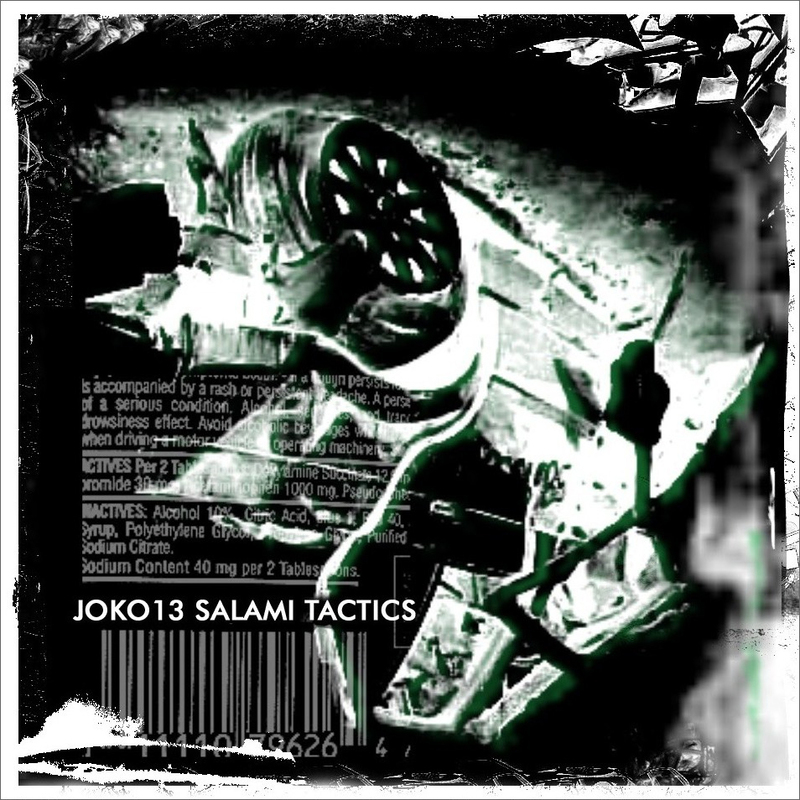 Going back another year, ‘Part Level Boredom’ with its extensive use of spoken word, delay effects and noise represents the somewhat more experimental side of Joko13’s musical work. Enjoy another fine Comatronic release!